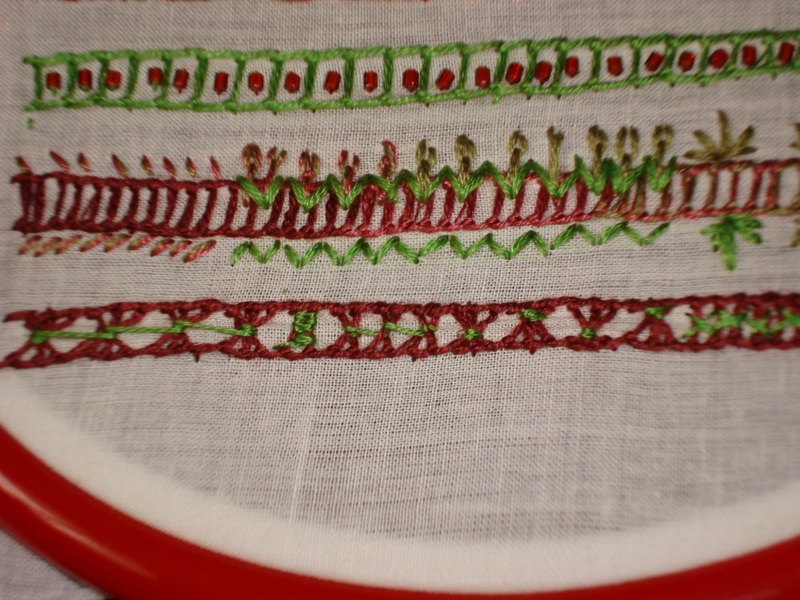 The 15th week st of the stitch challenge TAST2010 by Sharon, is ladder stitch.I am not very familair with this stitch. 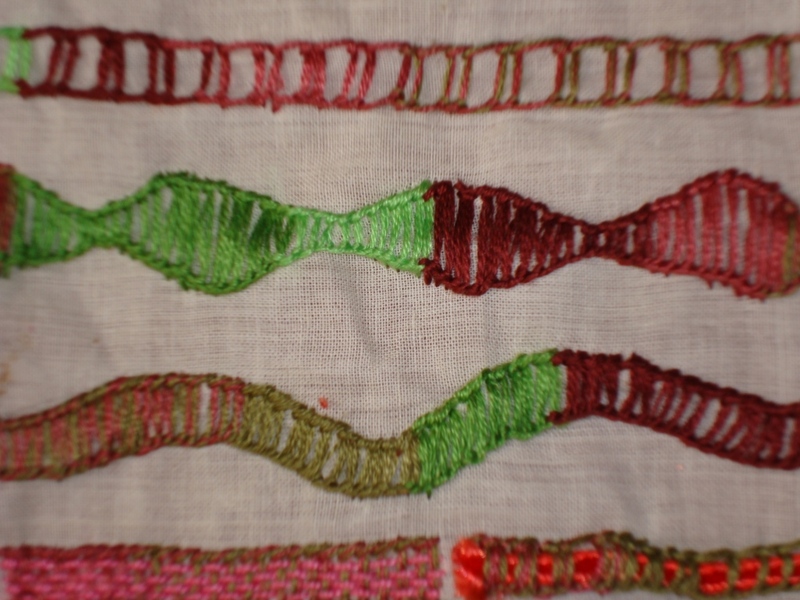 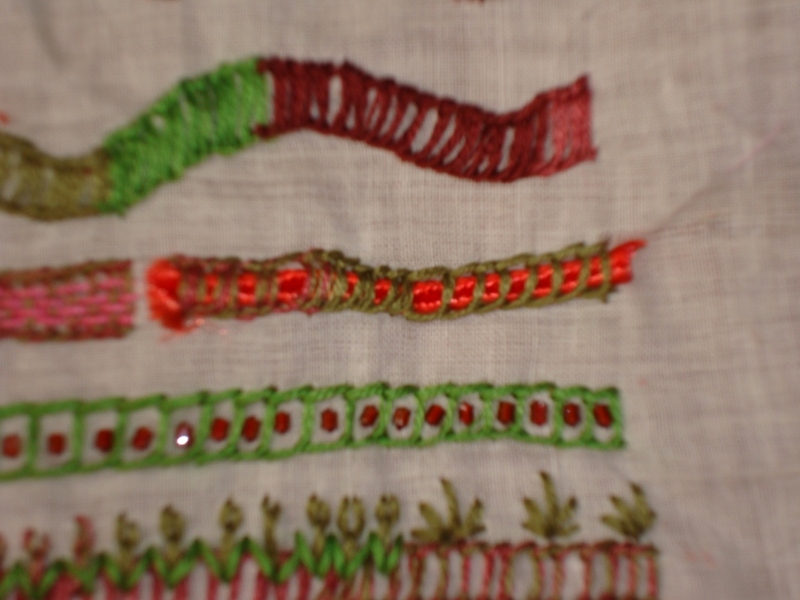 So to do this sampler, I started of with a open ladder stitch , to understand ,how it can be done. 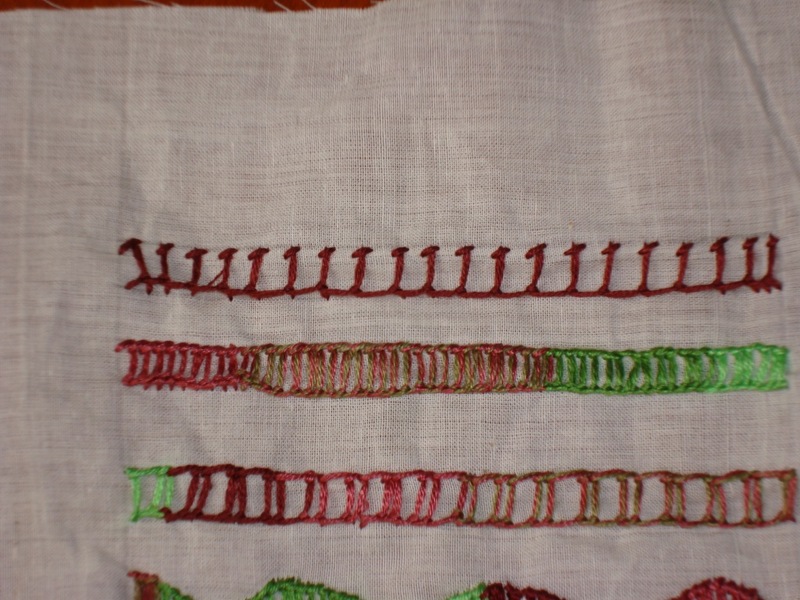 the next line , the actual ladder st. then I tried grouping 2 stitches together. 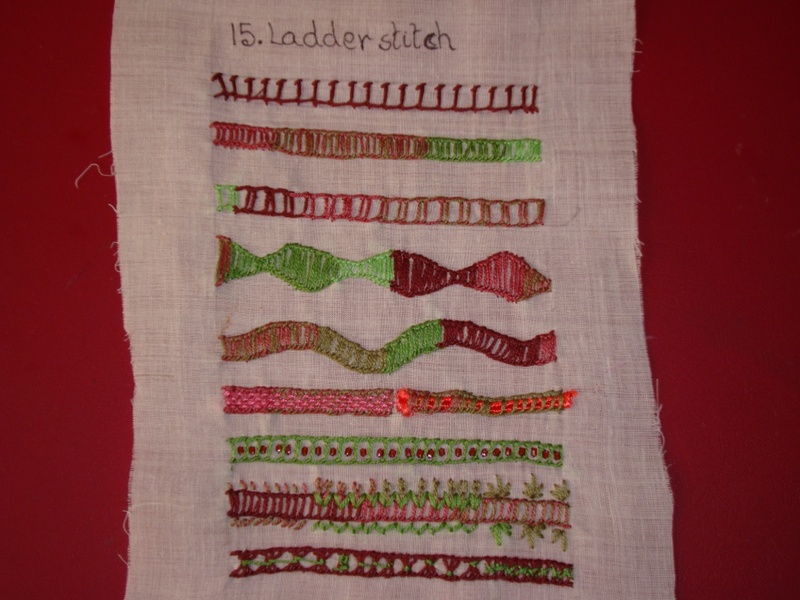 the 5thn line is ladder st ,curved. 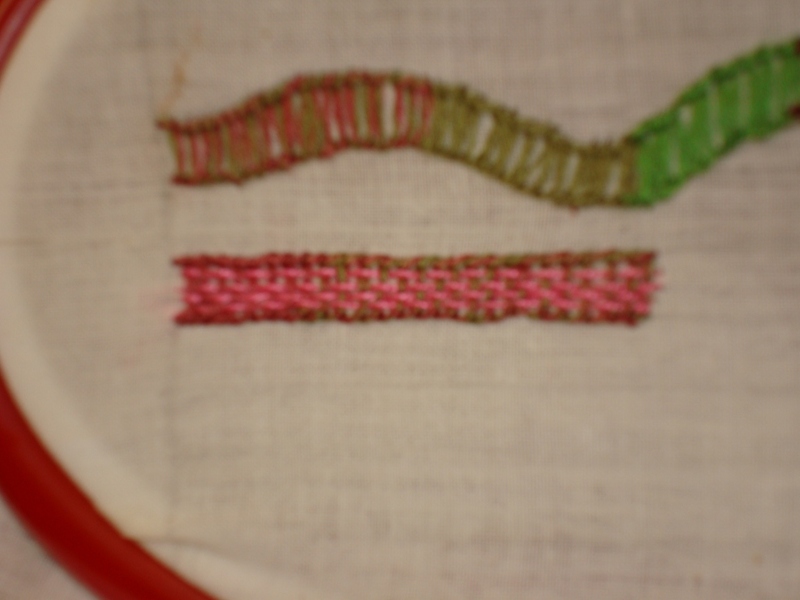 In this line ,I tried weaving 3 lines of thread into the stitch.The picture is not so good. 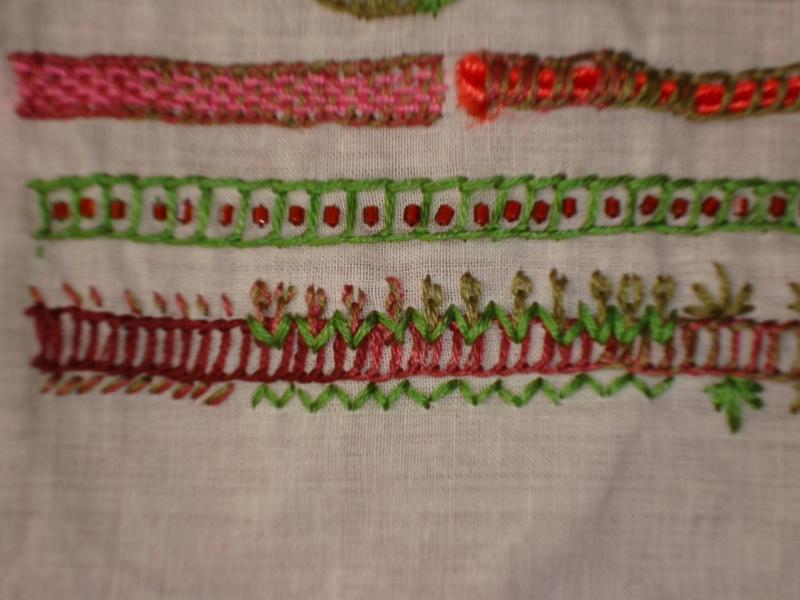 the next line I tried different stitches to the of ladder st.